AFTER delivering almost 250 apprenticeships and work experience placements in 12 months, a pioneering training academy in Nottingham is highlighting the benefits of ‘earn while you learn’ for National Apprenticeship Week (14-18 March). 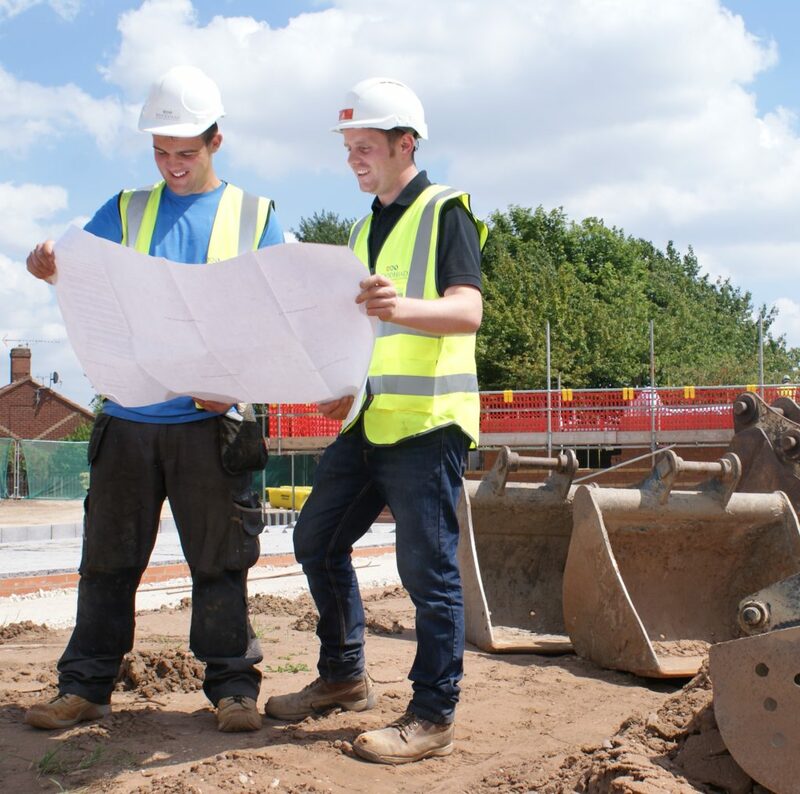 The East Midlands Property Alliance (empa) Training Academy helps young people, who want to build career in construction, gain valuable experience and promotes construction as an aspirational career choice to boys and girls through schools and colleges. In 2015 alone, the academy provided 82 apprenticeships opportunities, 167 work placements and 112 professional qualifications across the East Midlands. Working alongside empa’s nine construction partners, the apprentices receive training and skills in building, quantity surveying, joinery, administration, accounts, site management and marketing. One apprentice who has largely benefitted from the empa Training Academy is joiner, Jaydan Mosler, who worked with Nottinghamshire-based empa partner, Robert Woodhead Limited last year. He said: “I always enjoyed working with my hands and knew that I wanted a job in the construction industry. “I’ve had the opportunity to work on some great projects within the Woodhead Living team, including delivering 25 two-bedroom bungalows for Newark and Sherwood Homes and Newark and Sherwood District Council. I am also currently working on my second new build housing development in Harworth for A1 Housing and Bassetlaw District Council. Currently 12,000 vacancies (Source: UK Commission for Employment and Skills) in construction are hard to fill due to a lack of skilled applicants – more than double the number reported in 2013. With the construction industry currently experiencing its largest skills gap to date, empa understands the increasing need for more school children and adults to get involved in construction. Head of empa, Alan Coole said: “The industry has been largely impacted by the current skills shortage and at empa, we know it is more important than ever to encourage young people into construction. “Our apprentices benefit from on-the-job training, which provides them with an invaluable experience that cannot be taught or achieved by sitting in a classroom. “The training academy has already seen significant results in the past 12 months with 246 construction jobs created through the academy’s apprenticeship programme. “However, we know we need to do more to help. empa is rolling out a new Adopt a School initiative this month. Through the scheme, we will be working with schools across Nottinghamshire and the wider East Midlands, to teach children about construction. Last year, we visited more than 17,000 schools and we want to continue this work during the coming months.” Leading firms including G F Tomlinson, Ashe Construction, Robert Woodhead, Lindum, Interserve, Clegg Construction, Jeakins Weir, Morgan Sindall and Wates Construction are empa’s nine framework partners that support the academy. The empa Training Academy is part of the East Midlands Property Alliance (empa) Framework and is supported by Nottingham-based Futures. Managed by Scape and formed by local authorities to improve the delivery of construction projects and property maintenance for public sector bodies, the alliance operates across a range of sectors including schools, colleges, and universities, housing groups, care homes, leisure facilities and libraries. Pictured: Apprentice Jaydan learns from experienced Manager, Anthony Leach.